Today's card i have made with a new Favourite image of mine. I really loved colouring her and making this card. 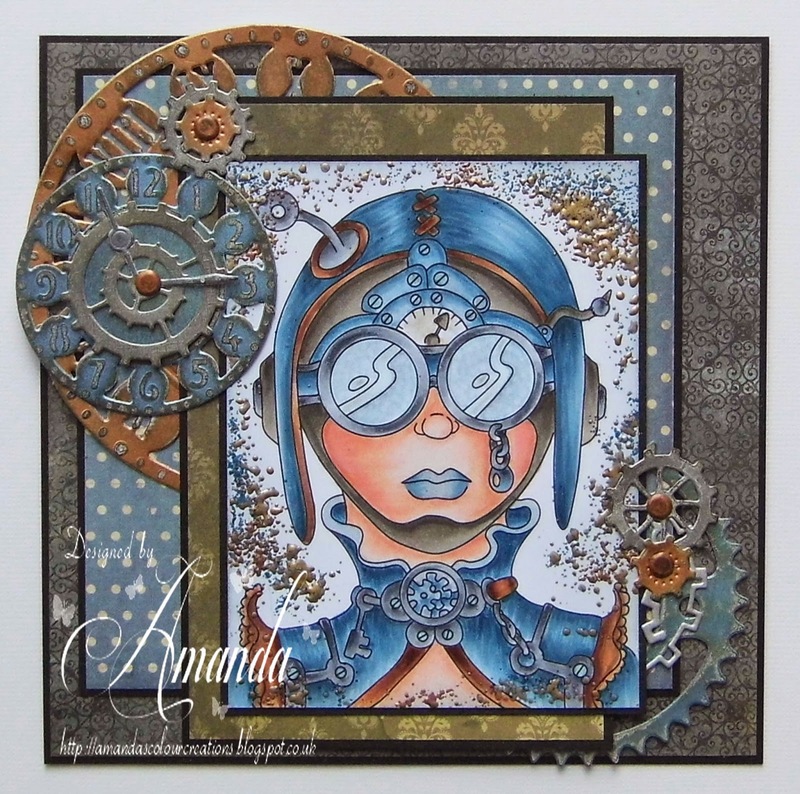 Creative Moments - Anything Goes/Steampunk (ends 24th March) * I Won! Through the Purple Haze - Anything Goes (ends 22nd March) * I Won! Fantastic card. I love the steampunk design and your Mage is beautifully colored. Great design. Thanks for joining Through the Purple Haze. What a cool steampunk card. Love the colors and you design is fabulous. So glad you shared it with us for the Sparkle N Sprinkle Creative Challenge. This is a WOW card. Awesome Steam Punk design, beautiful coloring and love the variety of layers. Gorgeous!! Thank you for joining us in this weeks blog challenge at SweetStamps.com. wow! it's so unique creation. Love it!!!! Thank you for joining our Anything goes Challenge at The Paper Nest Dolls.